Matt Talbot is blessed with an army of over 900 volunteers each month who serve our agency and enjoy the benefits of "nourishing and empowering one another in a spirit of dignity and love" by performing key roles in our daily operations. Which of our volunteer needs interest you? Occasionally we provide supervision and playtime for children of our guests to they can attend meetings. If interested, a background check will be required. For each day you marked in the above question, please specify the hours that you are available to volunteer on that day. For example "Monday from 2 - 6 pm'. Keep in mind that most volunteer jobs do not last longer than 4 hours at one time. Please summarize any additional information you would like to share about your previous volunteer experience, special skills, qualifications, previous work/employment, activities, affiliations, groups, hobbies, sports, clubs, etc. Have you ever been charged with assault of any type? Have you ever been charged with any crimes against children? If you are applying to fulfill court ordered diversion/community service, please list the offense and the contact person and phone number for your community service. The next ten items consist of three related statements. Mark the statement that most closely describes your preference (most of the time). There are no right or wrong answers. When doing a job, I prefer to have specific goals. I prefer to work alone and am eager to be my own boss. I seem to be uncomfortable when forced to work alone. I go out of my way to make friends with new people. I enjoy a good debate. After starting a task, I am not comfortable until it is completed. I enjoy offering advice to others. I prefer to work in a group. I get satisfaction from seeing tangible results from my work. I work best when there is some challenge involved. I would rather give direction than take direction from someone else. I am sensitive to others - especially when they are mad. I like being able to influence decisions. I try to get personally involved with my superiors. I place importance on my reputation or position. I have a desire to out-perform others. I am concerned with being liked and respected. I enjoy and seek warm, friendly relationships. I attempt complete involvement in a project. I want my ideas to predominate. It concerns me when I am being separated from others. I have a desire to influence others. I think about consoling and helping others. I am verbally fluent and persuasive. I am restless and innovative. I set goals and think about how to attain them. I think about ways to challenge people. I think a lot about my feelings and the feelings of others. By signing and submitting this application, I agree that the facts are true and complete. If I am accepted as a volunteer, any false statements, omissions or other misrepresentations made by me may result in immediate dismissal as a volunteer at MTKO. 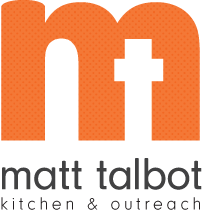 It is the policy of Matt Talbot Kitchen & Outreach to provide equal opportunities without regard to race, color, religion, national origin, gender, sexual preference, age or disability. Having a criminal background does not automatically disqualify you from volunteering. Out goal is to provide the best volunteer experience for each person. Thank you for your interest in volunteering with us!